After Charles Manson, people could look back at “The End,” “Strange Days,” “People Are Strange,” and “End of the Night” and hear what Manson had done as if it had yet to happen, as if they should have known, as if, in the deep textures of the music, they had. […] In the summer of 1969, people listened again to their Doors albums and said, Yes, it was all there. “The End”, if one can hear it again afresh outside the opening of Apocalypse Now, is an extraordinary, violent, Oedipal saga. Before I continue, an apology: clipping like this does a severe injustice to Marcus’s marvellously lucid prose, like skipping through a track on your iPod. He writes about music at the same pitch at which it’s heard, making it possible almost to re-experience the Doors’ music as you read about it. His imagination gives birth to images that recall and perhaps even enhance the experience of the music, as in his brilliant description of “L.A. Woman” as “Blade Runner starring Charles Bukowski instead of Harrison Ford”, or the moment in “The Crystal Ship” when Morrison finally raises his voice: “near the end, when he sings the title of the song as if he’s just discovered it: the three words, the perfect metaphor, the Flying Dutchman of the heart”. The thrill of reading Greil Marcus is the thrill of recognising one’s own hazy perceptions perfectly distilled into words. Jim Morrison is in the back of the sound, as if trailing the band on the street, shouting that he’s got this song for them, a new-type song, for a dime, it’d be perfect, and you can see the Morrison who’s singing, a man who in 1970 did look like a bum, a huge and tangled beard, a gut hanging over his belt, his clothes stained […] he can see the fear the Manson gang left in the eyes of the people he passes even as they avert their eyes from his, but he’s not afraid, and he knows he’s not the killer they’re afraid of. Marcus uses the Doors’ lyrics, his own imagery, and a wealth of references — Thomas Pynchon’s Inherent Vice, Elvis, Oliver Stone’s biopic of the band (which he passionately defends), youth exploitation movies — to evoke in words the inexpressible: the music’s rasa, its affect. His book is a kind of poetics of the Doors. Marcus is clearly not a superfan. He describes Waiting for the Sun as “the band’s floppy third album” and later big-time hates on The Soft Parade, saying of its opening track, “Morrison sounded as if he had a bag over his face, so no one would know who was singing it”. But this has the perverse rhetorical effect of strengthening his overall thesis, fortifying it against criticism by preemptively discarding the “Hello, I Love You”s of the catalogue. 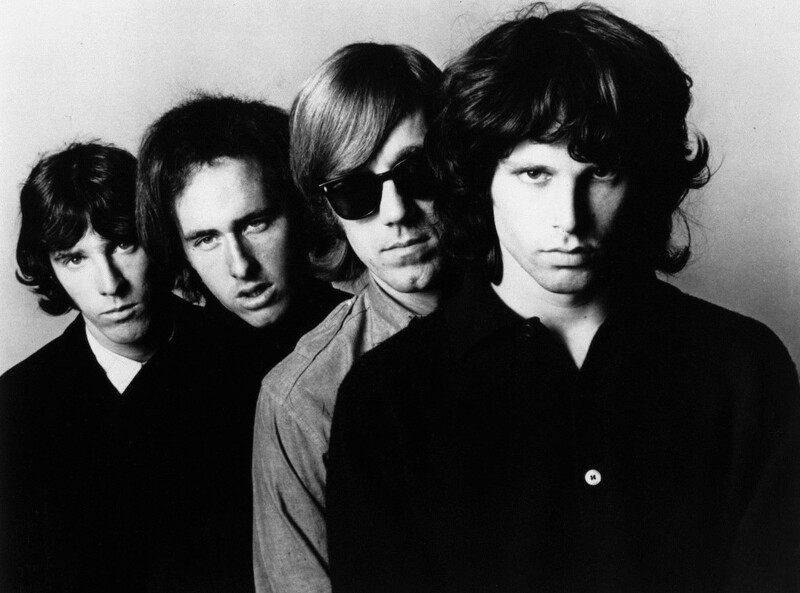 When they were good, though, they were very: the Doors, in moments of pure alchemy, produced “the sound of the times that no one else made”. Hear, hear. And listen again. 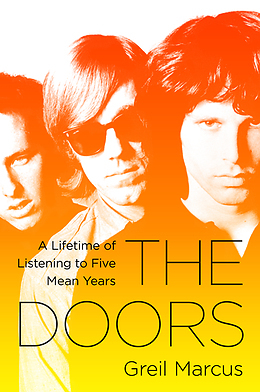 You can read Greil Marcus’s Rolling Stone pieces going back to 1968 here and buy The Doors: A Lifetime of Listening to Five Mean Years at McNally Jackson here.